The stock hit a new high of Rs 1,407, up 3 per cent on Monday. It has rallied 24 per cent since January 17, 2019 post-December quarter results, against a 7.5 per cent rise in the S&P BSE Sensex. 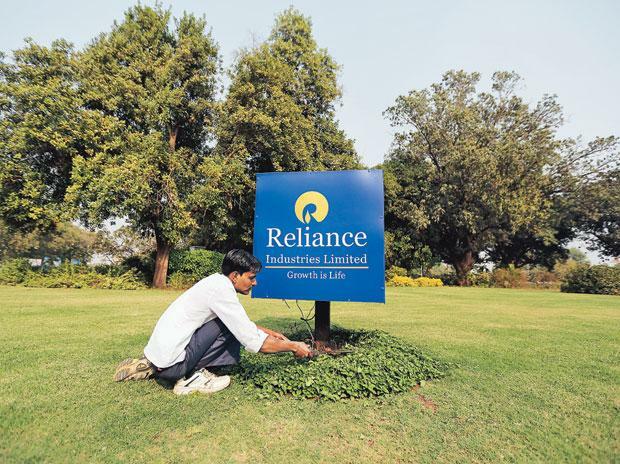 Shares of Reliance Industries (RIL), which hit a new high of Rs 1,406.50 in intra-day trade on Monday, is set to become the first Indian listed company to cross the Rs 9,00,000 crore or Rs 9 trillion market capitalisation on the BSE. The stock surpassed its previous high of Rs 1,388 touched on Tuesday, March 20, 2019. The market-cap of Mukesh Ambani-led Reliance Group Company hit Rs 8.91 trillion in intra-day trade so far and is 1 per cent away to hit the landmark. On August 23, 2018, RIL became the first Indian listed company to cross the Rs 8 trillion mark on the BSE. Since January 17, 2019, after October-December (Q3FY19) results, RIL has outpaced the market by surging 24 per cent, after reporting better-than-expected financial results. In comparison, the benchmark S&P BSE Sensex was up 7.5 per cent during the same period. The company's consolidated profit after tax (PAT) rose 8.8 per cent on year-on-year (YoY) at Rs 10,251 crore (first Indian private sector company to achieve this feat in a quarter) was better than street estimates. The strong show was primarily led by Retail and Jio. Also, the Oil & Gas business reported a better than forecast profitability. Analysts at YES Securities have ‘buy’ rating on RIL with 12-month target price of Rs 1,550 per share. Retail business momentum will sustain given RIL’s reach and new initiatives. For Jio, sustained subscriber addition and expected improvements in average revenue per user (ARPU) along with operating leverage benefits will lead to exponential PAT growth in the next few years, the brokerage firm said in a note dated January 18, 2019. Analysts at KRChoksey Shares and Securities also maintain ‘buy’ rating on the stock and target price of Rs 1,442 per share. “RIL has been performing steadily due to its major businesses refining and petrochemicals and we remain optimistic about these segments due to the ramp-up of the Refinery Off-Gas Cracker (ROGC) cracker, its downstream units and its Px plant which will help to produce high-value polymer derivatives from low-cost fossil fuels resulting in better margins,” the brokerage firm had said in result update. In addition, the implementation of IMO 2020 norms will also prove to be a key positive trigger for refining earnings growth. The recently lower crude prices will further help in improved operating margins. As for the telecom segment, we see bright prospects on the back of strong subscriber addition through aggressive strategy, stable ARPUs and the implementation of Jio GigaFiber, it added.